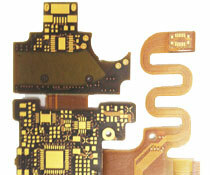 Prototype rigid-flex and flex PCB fabrication & manufacturing since 1980. We are your one-stop USA PCB supplier for rigid-flex and flex PCBs. 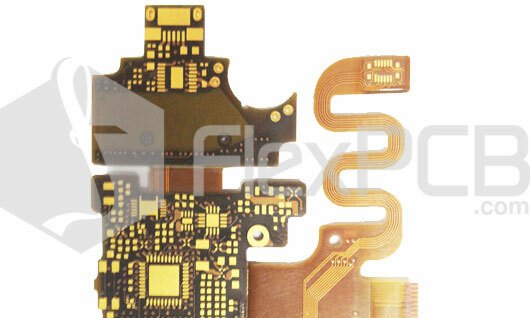 We are a high quality quick turn prototype flex and rigid-flex PCB manufacturer. Please call or submit your Gerbers/specs today for a fast and secure quote. Learn more about our prototype and production flexible and rigid-flex PCB fabrication services. Get low-to-high volume rigid-flex, and flex PCB quantities manufactured with industry leading quick turnaround times for rigid-flex and high density interconnects (HDI) PCBs. 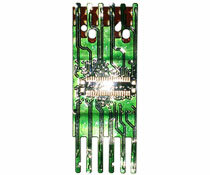 Rigid-flex PCBs - High quality rigid-flex printed circuit boards. 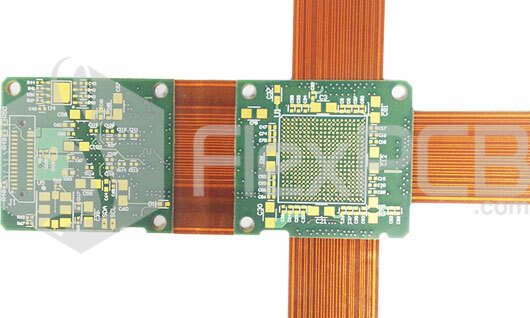 Flex PCBs - Fully flexible printed circuit boards for all markets. High Density Interconnect PCBs (HDI PCBs) - Circuits with high reliability and performance. Multilayer Flex Circuits - Single, double, and multilayer flex and rigid-flex circuits. Medical - Diagnostic hardware, medical electronics and medical imaging devices. Telecommunications - High frequency chip carriers and fiber-optic communication products. Industrial & Commercial - robotics, consumer electronics and LED lighting applications. Automotive - Camera modules, lighting and other automotive electronics. As an ISO 9001 leading prototype-to-production flexible PCB manufacturer, we have flex and rigid-flex PCB capabilities that other companies can't compete with. As your flexible circuit supplier, you will be able to build boards with line and width spacing down to 19 microns (.75 mil) and 1 mil micro vias. Consult with our flex PCB design and engineering services team to help you determine what the optimal technologies are for your project's application. We also offer extremely fast quick turn flex circuit prototyping services. View our full flexible and rigid-flex capabilities or contact us to learn more. 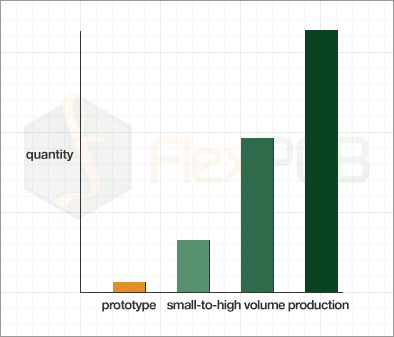 We've got you covered for both prototype and production quantities. 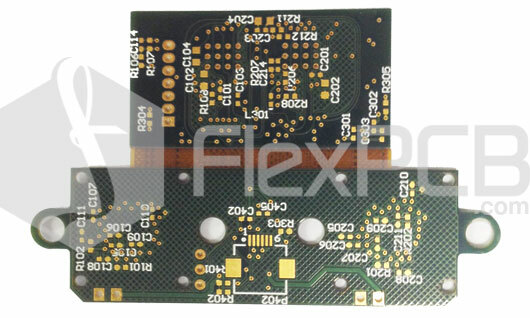 With Flex PCB, you skip the PCB brokers and go straight to the source. Start prototyping in our USA facility or directly where your production run will be in China (one of our two Flexible PCB manufacturing facilities in China). This allows you to know what materials and components are most effective during large volume PCB fabrication runs. It's not just our design and prototype-to-production manufacturing capacity that makes Flex PCB different; our technical, engineering, procurement and customer services gives us a competitive advantage. Do you need inventory stocking for your flex or rigid-flex PCBs? Get pull and push inventory that meets your specific needs. Order in high volume, but let us manage your inventories with JIT (Just in Time) deliveries. 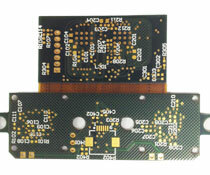 Example rigid-flex and flex PCBs manufactured by us. 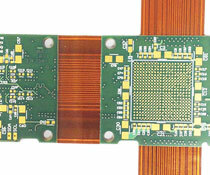 HDI rigid-flex PCB with vias. 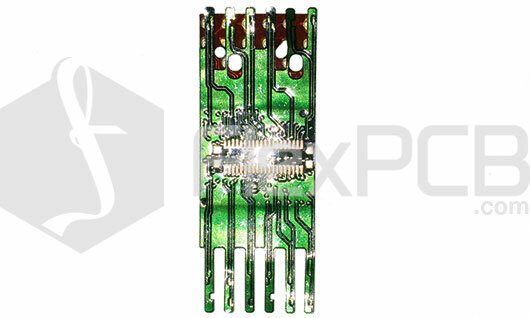 4-layer flex PCB with unbonded wings. Our flexible and rigid-flex PCB fabrication is done in the USA and/or China depending on your requirements.